Community values, views and aspirations are a vital component of adaptation planning. Planning for climate change in coastal areas involves considering many different risks and options. It’s important that a diverse range of community members have input to the debate around what to do in order to ensure their views are recognised and considered. Councils often struggle with how to involve the community in planning for sea-level rise for many reasons. Some fear a community backlash from having these conversations where there are likely to be conflicting views about what the problem is, let alone any solutions. It can be hard for council staff to know where to begin; or how to talk about highly technical and uncertain science. Plus it can be hard to get people interested in risks that seem far off into the future. Yet where to start can be right under your nose. Any community will already have existing arrays of informal and formal groups and networks. 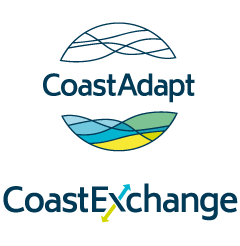 CoastAdapt’s information manual on community engagement suggests beginning with these. The first step in planning community engagement is to take stock of your community by mapping the existing networks and identifying the key champions – people who have a strong reach and influence in the community. You can work out how your interests intersect with theirs, as well as how you can support them (or they can support you) to engage with their group or peers. By using existing networks as the basis for your engagement, you can build on already established communication channels: it means you go to the community rather than expecting the community to come to you. But it also requires a recognition that communication can’t be completed overnight, but may take weeks or months. Councils must be prepared to commit resources for the long term to ensure success! How have you involved the community in adaptation planning? Are there clear networks in your community that can be tapped into?